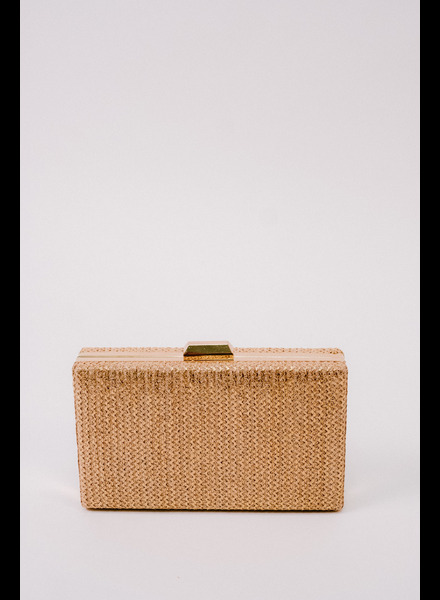 Rectangular gold pained tweed clutch with gold hardware. Measures 7.5” x 4.5”. 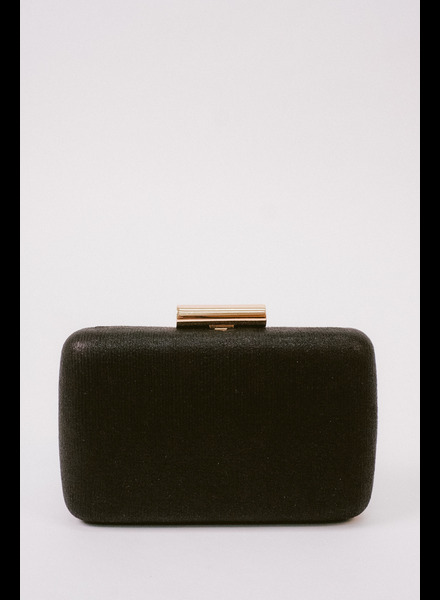 Black hardshell metallic ribbed clutch with gold clasp. Measures 7.5” x 4.5”.